Fraud is a major problem in South East Asia. Research suggests that 18% of budgets dedicated towards outdoor of home (OOH) advertising is wasted due to fraud in the form of weak monitoring systems. The task of solving this has prompted the emergence and growth of many start-ups, notably Online Aggregated Analytics. In 2015 it’s founder, Rafi Hasan, secured a channel partnership with Ipsos for Pakistan. Still, OOH buying and planning is highly opaque and based entirely on perception. Najiyeh Akbar, the former CMO of Samsung Pakistan, has a solution. She and four colleagues came together in December 2014 to form 24Grey and recently launched their first product, a cloud based platform called Outnet. The platform integrates contextual and quantitative analytics to dramatically improve OOH efficiency. While there is no concrete data on the value of the fraud or losses in efficiency, anonymous estimates that 70% of OOH marketers admitted to being offered a kickback, while 90% of OOH vendors admitted to paying an off the books incentive in the last three years. Since being launched, Outnet has delivered up to 72% improvements in CPM and 48% improvement in cost per square foot in test scenarios. 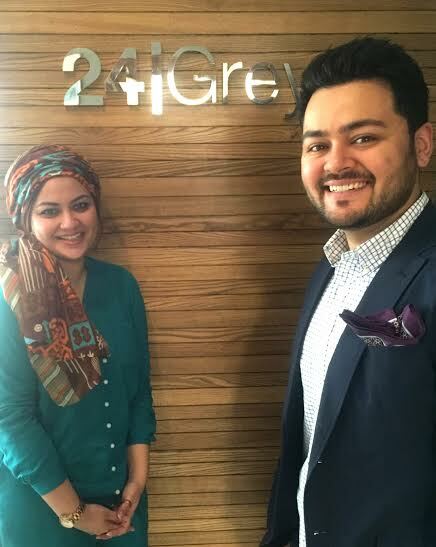 I reached out to Najiyeh Akbar to learn about the team, product and growth strategy. Who are your co-founders and how much have you raised? We are a team of 5 right now. Outsourced partners and consultants number over 50 and are not included in the YOE figure. This includes myself, Hameed Kashan (LSE; Yum brands, United Nations), Amir Khan (Greenwich; JWT, Interflow) and Amber Rana (NYU; Geo, WPP). We are privately held and fully funded for the next two years. What type of companies are your target customer? We are reaching out to small and mid sized OOH advertisers through direct marketing. Our SaaS business model is based on a non-binding monthly subscription. Given your scope, which companies would you classify as competition in Pakistan? Existing outdoor advertising vendors, including agencies, could be considered legacy competition. There is also some direct competition in terms of services offered, but our business models and target markets are far removed. What are you doing that is unique and cannot be replicated? Existing solutions are standalone technology products that do not relate to each other or legacy agencies using electronic media processes to evaluate OOH. Our platform allows for planning, buying, evaluation, monitoring and auditing from one single screen using industry specific analytics and evaluation algorithms. All at a cost that is affordable for most OOH advertisers in Pakistan. What has been the most successful client success case for Outnet? A foreign airline could not justify continuing their OOH campaign to their principal due to lack of ROI data and buying transparency. They utilized our platform to conduct a like for like double blind RFQ and improved the reach of their Karachi focused OOH plan by 63% and increased budget efficiency (after platform costs) by 42% compared to their previous campaign with identical scope. This measurable planning performance was approved by their HQ and said client currently has an active campaign implemented via Outnet. By Babar Khan Javed in Big Data on April 4, 2016 .